Don Diego Scholarship Foundation and That's My Brick!® have joined forces to raise money for our project! This site automatically keeps track of our orders. If you choose to pay by check, please contact us as soon as possible to submit your donation. 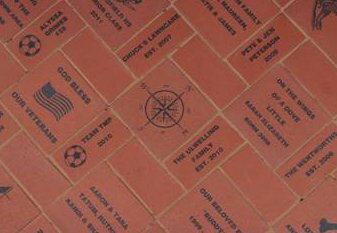 Commemorate a Special Moment at the Del Mar Fairgrounds with a Legacy Brick. Your memory will endure forever at the Don Diego Legacy Fountain in the Plaza de Mexico. Proceeds will benefit the Don Diego Scholarship Foundation providing scholarships to outstanding San Diego youth who participate at events at the Del Mar Fairgrounds. Just follow the simple step by step process below to place your donation. Be sure you are happy with your brick design as they will pretty much look like the image on the computer. Copyright © 2019 THATSMYBRICK.COM All rights reserved.